One year ago today, after a sleepless night, I took this photo as I left to go to church where a new stake was to be created, the Shadow Mountain stake. I may have taken that drive a bit slower than usual. As we continue to Light the World this Christmas season, I’m thankful to the members of the Shadow Mountain stake for the patience and sustaining effort you’ve shown for me as I learn. 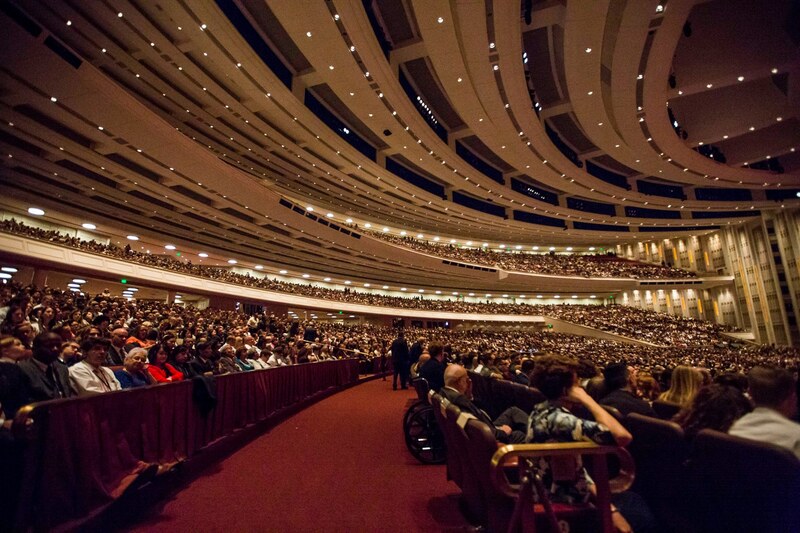 It’s been humbling to discover the goodness found in the homes and halls of this stake. The first time I went to Japan, my trip had a rough start. I flew across the Pacific ocean in seats too small and landed in Tokyo at about 4PM. I was eager to get to a comfortable hotel for a shower and a place to lay down. In my usual “I’ll figure it out as I go” approach to travel, I made my way to a train station and saw this board. (pictured) It was confusing, overwhelming, and it didn’t direct me at all. I knew where i wanted to go, but didn’t know how to get there. There was nothing I could have done for myself at this point. I needed some help. In a similar fashion, I know where I want to be in this life and after I pass away. Like many of you, I want to be considered a good and righteous person here on Earth and then return, with my family, to my Father in Heaven when I’ve left this earth. I believe these things are possible, but I need help in knowing how I can achieve these things. This scripture reminds me to be thankful for the commandments and direction that we’ve received from scripture, prophets and promptings. I know what I want to become so the more direction I can receive, the better. Recently I read a speech that taught: “Perhaps the greatest indicator of character is the capacity to recognize and appropriately respond to other people who are experiencing the very challenge or adversity that is most immediately and forcefully pressing upon us.” I love this principle. I thought about all the good parents I know who, after a long tiring day, will care for the needs of their tired children before turning attention to their own needs. That’s great character. I considered this principle yesterday during Fast Sunday as well. In the LDS Church today, one Sabbath day each month is set aside for the purpose of fasting. Members of the Church go without food and water for two consecutive meals in a 24-hour period and then contribute the money that would have been spent for that food to those in need. In other words, the commandment is to humble ourselves before God by voluntarily refraining from eating and drinking and then, while in our hunger, we are to think of others and give an offering to provide for their needs in food. So in addition to all the other spiritual and physical benefits of fasting, for the first time I saw it as a character confirming commandment as well. What a blessing. When I was in Cuba earlier this year, it was interesting to see how little technology was available to the residents there. Everything in Cuba is about 50 years in the past. However, one night we were walking the streets and there were hundreds and hundreds of people in this park with tablets and phones lit up. It is one of the few places in the country that wifi was available so people would come there each night and video chat with family in the US and also check Facebook, Instagram, and learn more about the world outside of Cuba. It was interesting to listen and watch as they connected with family and friends via technology. Below are a few thoughts I have about social media, and how we can use it better. I enjoy seeing good posts from family and friends.Though lately I’ve been surprised what people, who I know to be good and kind, will attach their name to in the sharing of posts and other items. I feel like we should be able to rise above it. Even with difficult topics, we can share our positive thoughts or the way we’re hoping to be part of the solution. Rather than just be an echo chamber, I’d love to see more thought out and personal messages from people I know to be good people. Social media certainly needs more of it. Kids understand this easily. I think youth leaders, priesthood leaders and parents should be active on social media as well. It’s one more place to teach and inspire and care. Don’t be a social media sponge or stalker but instead be active and an influence. Did you know all of the church leaders are on Facebook and Twitter? Find all their profiles here. With some recent changes in my workplace, I need to setup a new office to work in each day. As I went about replicating my home office, I bought a 5K iMac for the new location. These iMacs are such great machines. I also like to work with a second display. Rather than buying an ancient Thunderbolt Display, I thought I’d try one of the new 4K monitors on the market and see how they perform. After doing some research, I saw that the LG 27UD68 was recently released and that it’s predecessor had good reviews. Without being able to find any reviews online, here is my unboxing, review and conclusion. First, These men (pictured above) are dedicated to the work for all the right and pure reasons. When you shake their hand and look them in the eye, there is no hypocrisy or guile to be found. Elder Holland mentioned that he nearly lost his beloved Pat Holland recently, and yet here he was on assignment for 12 days to teach and bless. His sense of duty is pure without ulterior motive. Third, there are so many posts on social media and in life about having questions in the Gospel (which is ok) and even having doubts (which is also ok.) But there’s not enough conversation to establish that it’s also ok to not have either. We should do better with that. I’ve never felt forgotten by my Savior. I’ve never had a promise unkept when I did my part. With exacting effort, I prepared myself for a month for this weekend and I received all that for which I asked. It has always been the case and I believe always will be the case. How could I doubt now? Note: This is a post from my company blog as I sold my business and announced it to the customers. I’m Brian Stucki. I’ve been running Macminicolo for over ten years. For half that time, I ran the whole thing alone. Later, Justin joined me for data center duties. Running a hosting company is a mixed bag opportunity. It’s exciting because you get to be involved with cutting edge technology. In a niche like Mac hosting and colocation, the customers are always intelligent and working with them lets me be a small partof what they’re building. I’ve tried very hard to do good, honest work and do right for our customers and the community. For every email I’ve received confirming the death of the Mac mini, I’ve also received emails from people who put a Mac mini into our data center and it saved their business. The other side of hosting company ownership is constant connection to the online world, middle of the night support tickets, and a nagging worry that tech will change and you’ll be out of business. I call it the SBO ulcer. (I am not a doctor but I’m guessing many of you feel it too.) I remember listening toa podcast about when Instapaper was sold and had a lot of the conversation resonate with me. Now, I could just announce this with no explanation and be done with it . I could also write one of those generic acquisition posts focused on sunsets and brands and blah. Instead, I’ll be forthright and real like I’ve always tried to be with customers. Second, I think we’re on the cusp of a major change in how tech companies host their products. Companies that offer online services are looking for more control of their data and offerings. Startups and businesses are moving away from huge, faceless hosting companies so they can control their own data and have more direct hands on servers, etc. I want to be sure that they can look at Mac hosting options that are large enough to be viable, but personal enough to be a good partner. While I think we’re good at the latter, I can’t offer the former on my own. Now with this merger, we have all sorts of options. Need 500 OS X VMs running across dozens of Mac Pros? No problem. Want hundred of Mac minis, Pros and blades in place tomorrow to use for your company? Sure. Want to build a personal ACN in three diverse locations to deliver your podcast episodes? Coming right up. Finally, I found a good company with good people and a long-term plan. As I mentioned earlier, I’ve had a number of offers over the years. Four months ago, I got a call from the Greg, the CEO at MacStadium. Since that time, we’ve had many conversations about what could and should take place. When it comes to Macs in the data center, they’re doing some great things already. They have a great mix of knowledge and also a willingness to learn and grow. That’s rare. I can’t explain just how much I had to think about this decision. I’ve put a lot of time, energy and attention into building Macminicolo. In the last few months I have performed the calculations, said the prayers, applied the SBO Ulcer test and projected the best and worst case scenarios. I ran it by successful people I know and trust. Everything pointed to making this decision and I’m excited to see what we can build. One of my favorite moments from the funeral of President Packer didn’t make the final video release. I thought I’d share it here since I took a screenshot during the live video. After the casket was loaded in the car in the background, Sister Packer and the family turned and entered the cars seen at the bottom of this picture. 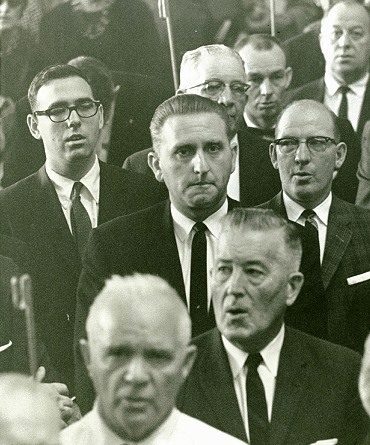 As the remaining members of the Quorum exited the tabernacle and saw they were not yet loaded, they stopped and waited for the family to enter the cars rather than walk around and enter their own cars waiting in the cortege line. Her husband is gone, but Donna Packer holds the complete love and reverence from the Quorum. I love this photo for another reason that was more apparent when seeing it live. When Elder Nelson saw they were not yet loaded, he stopped. His brethren in the quorum didn’t look around to see why nor ask each other the reason for the stopping. Instead, they saw that Elder Nelson, the senior member and probable President of the Quorum stopped and they instantly followed his lead. After 21 years of following President Packer as Acting President and President of the Quorum, the mantle has moved and it is recognized. The mix of strength and humility in this group inspires me so much.